Light industrial uses include the use as a liner for perspiration absorption in rubber gloves or use in clean rooms and inspection processing. Clean white gloves also create a professional presentation for servers at formal dinners, flag bearers, marching bands, uniformed public displays etc. These gloves are stretchable (to about a medium), are 100% cotton and "one size will generally fit all." They allow a high degree of dexterity, are reusable, washable and left to right hand reversible. These gloves are not hemmed. 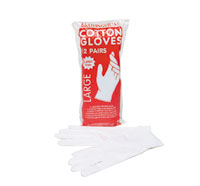 This allergy- free white cotton gloves absorbs perspiration or moisture. Sabco Microfibre Dusting Glove makes dusting or cleaning blinds, ornaments and other hard to clean objects surfaces efficiently. With its glove shape, it gives you more control and provides more thorough cleaning. 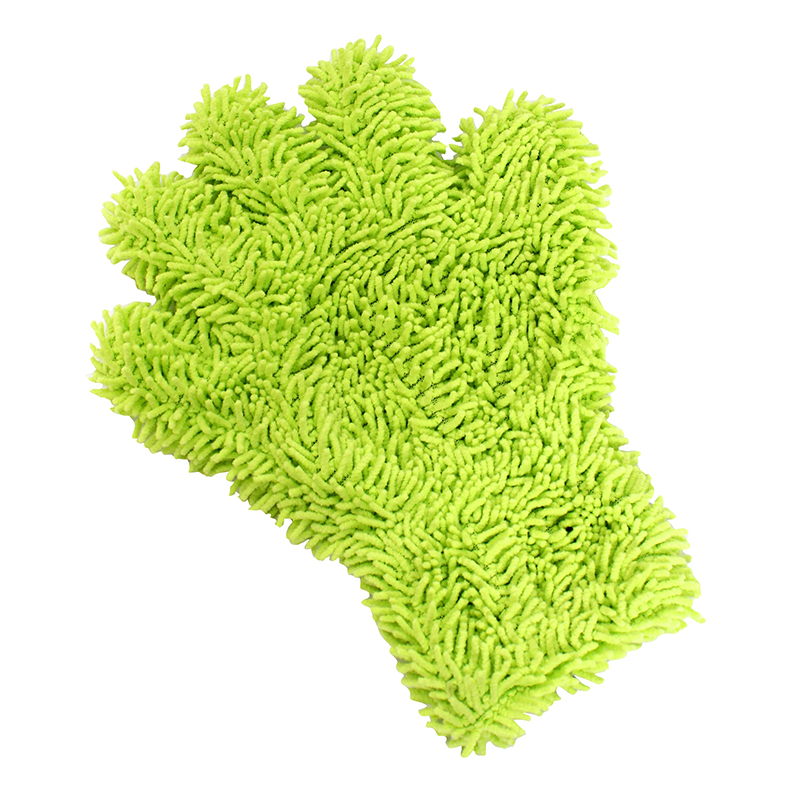 For dry application, this Microfibre glove duster catches and traps dirt easily. 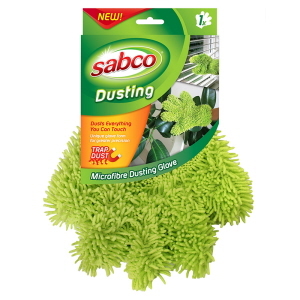 Dust everything you can touch with Sabco Microfibre Dusting Glove!